Saturday, September 1, 2018 started out as a good, if a little humid day. More importantly all the targets were operational (all eight), and we had twenty-five (25) competitors. Towards the end, however, things got nasty. 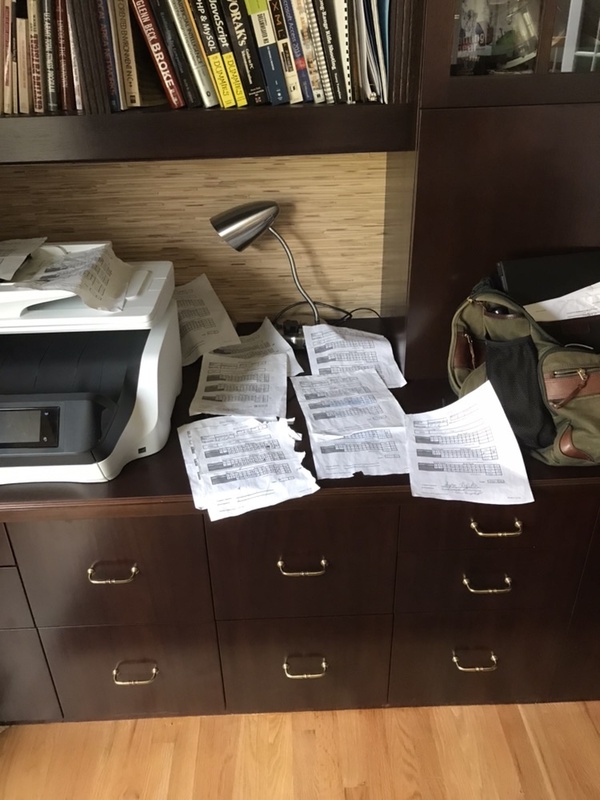 The photos are of my home office with the score sheets arrayed to dry. It got wet. 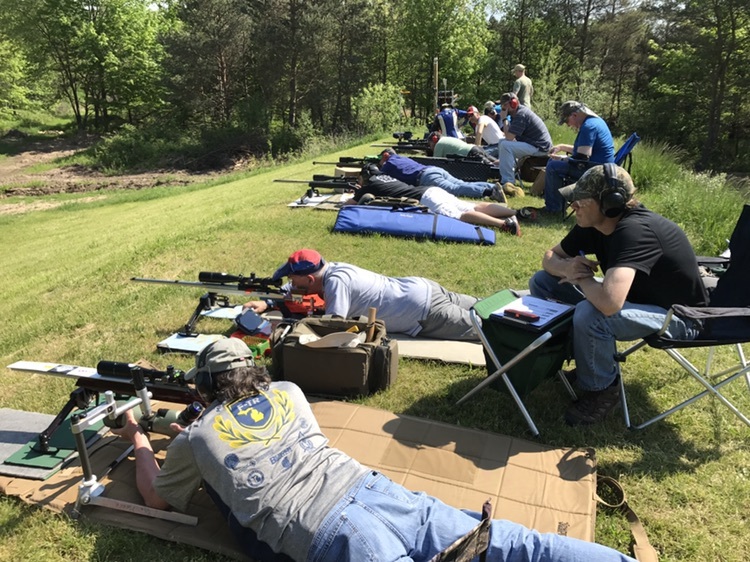 On one of the first days this year that it was actually hot, 19 competitors completed the Michigan Fullbore Rifle Championship. We had a few no shows, and three withdrawals (heat, rifle issues were the major culprits). Then the Techno-Gods decided to strike. First two targets failed to function, then after finding a broken cable on one, and just a loose connection on the other, we did our move to 500. 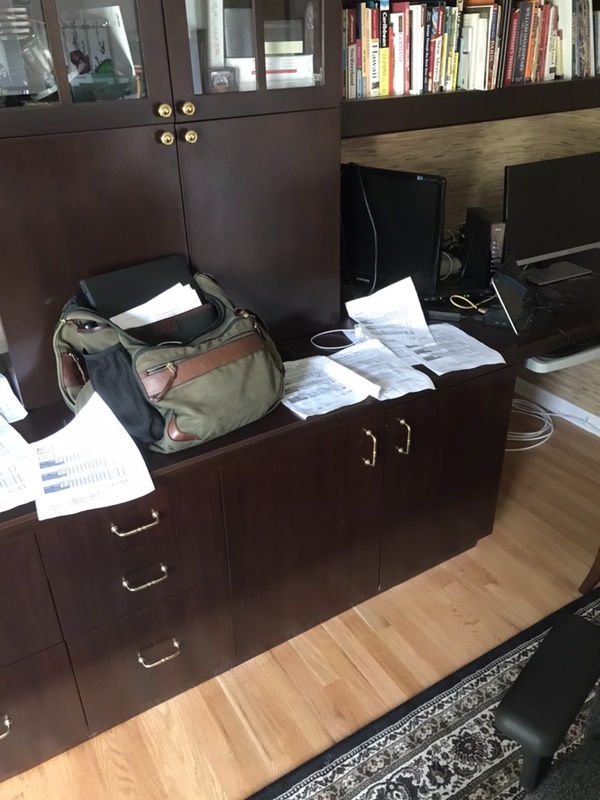 Where upon, our master server died by issuing an error message, and could not be convinced to resurrect itself. That forced the use of the targets directly, which worked okay, except not all targets had the 500 yard F-Class and Target rifle targets. After finding away through that goat rodeo, we moved to 600 yards, where all of the targets operated. Amazingly, we didn't finish much later than we expected. We had eight (8) F-Open competitors, Mark Ruhlman of Charlevoix was the F-Open Champion with a score of 443-9X. In the F-TR category we had six (6) competitors, with John Pierce besting Josh Moore with a 444-25X, bettering Josh with a 443-22X. Lastly amongst the sling shooters, we had five (5) competitors. Dan Altman from Ohio won with a 449-32X. Dan becomes the match winner, but because he is not a Michigan resident, the second place shooter, Chris Whitney with a 448-24X became the Michigan Target Rifle Champion. 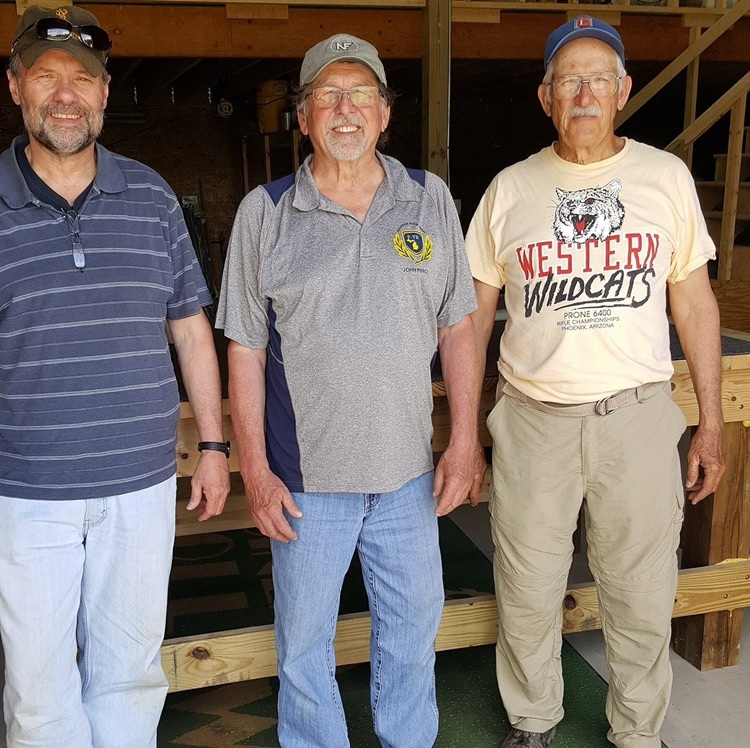 On Saturday, May 27, 2017 the Midland County Sportsman's Club ran the 2017 Michigan Fullbore Rifle Championship. We had a beautiful day, and twenty-one (21) competitors enjoyed gentle conditions for the match. The course of fire included ten (10) shots at 300, 500 and 600 yards, followed by a single fifteen (15) shot string at 600 yards. Our turn-out was sufficient to provide three (3) State Champions: Target Rifle (the dudes with the slings), F-Open, and F-TR. Target Rifle was won by Peter Church with a 449-35X, Pete was chased by Jake Bondy with a 447-19X. F-Open was won by Marcel Bollinger with a 445-21X. F-TR was won by John Pierce with a 448-28X, who out Xed John Droelle, who posted a 448-21X. Left to right: Marcel Bollinger, F-Open Champion; John Pierce, F-TR Champion; and Peter Church, Target Rifle Champion. The next competition at Midland will be held on June 10, 2017, and will be match two (2) of the Suburban Mid-Range Prone League. Program is here.